Training your brain may be the most important thing you ever do. This course is designed to help you shift your energy, rise to your full potential and live your heart's desire. 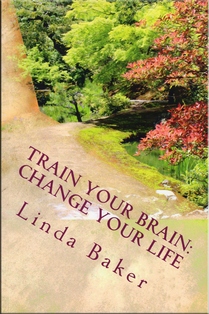 As Linda explains in this video, engaging the power of your subconscious mind is what makes Train Your Brain and Change Your Life a profound and deeply transformative course. There are many books, workshops and courses widely available now about creating the reality you want using the power of affirmations. This program picks up where many others leave off. If you are inspired by people such as Caroline Myss, Abraham and Gregg Brayden, you will find Train Your Brain - Change Your Life to be another great tool, one that can help you to finally achieve what your heart desires. In this deeply experiential 8-class online program you’ll learn and experience practical tools to help shift your energy by simply training your brain, by changing how you think so that you come into alignment with your true soul self. Linda Baker, from the preface to her book Train Your Brain: Change Your Life. This course is designed to help you shift your energy and rise to your full potential. Through training and support you release blocks, outgrown beliefs and old programming that have kept you back. Thoughts magnetize energy to us. You’ll learn and experience the magnetizing impact of how we think, as throughout the course Linda Baker guides you on inner journeys (specifically designed for this course) to allow you to remove the blocks and gain the tools you need to effectively draw your heart's desires into your life. Each class is comprised of a lecture and a guided hypnotic journey. Each journey is designed specifically to address one step along your path to re-training your brain, and if at any step you find more than one obstacle or issue to address, the journey can be repeated as many times as you wish. Every thought you think has a creative life. Many of us subconsciously carry an “umbrella of deflection” that prevents us from achieving our hearts’ desires. Thoughts can attract things we want, and thoughts can attract things we don’t want. If you’re not controlling your energy, someone else is. There’s a lot happening on the planet Earth right now; fear is running “high”. Despite the prevalent atmosphere, we can control our thoughts, to rise above fear and anger, and create what we truly want in life. Class I: - How Thoughts Can Control Our Lives. Linda discusses how she opened her own life to joy and expansive living through these methods. She encourages you to consider this: Is your mind your own, or are you in any way thinking and believing other people’s thoughts, or thoughts that no longer serve you? Parents, teachers and others - though well meaning - may have instilled limiting thoughts such as “Don’t expect too much”. Linda introduces the concept of internal “Thermostats” – how the thoughts we think maintain our life on the status quo of these thermostats, thus limiting our experience of abundance in all aspects of life. Our thoughts can even come from the experience of Ancestors: Linda gives examples of how core beliefs and thoughts can travel down through generations, even long after they no longer serve a constructive purpose. Training your brain to think thoughts that create the feelings that magnetize what you truly desire to you, this inner journey guides you to clear a thought/belief that no longer serves you, and then guides you to bring in a new supportive thought that serves you well in your life now. While we may have the desire to bring changes into our life, we may not have the courage to allow those changes to manifest. Did you know that one of the most common reasons people give for not changing or following their dreams is fear? “I’m afraid that _________ “ and so it’s not me, it’s my fear that keeps me small.” Changing one’s life means taking risks; it may mean loss and even pain. Changing causes us to confront our inner and sometime outer demons. In this class we discuss what it takes to make a life change as well as experience a guided journey to find your inner warrior or support personality. This is the part of you that believes in you and is ready to be awakened and take up the challenge for you to make the changes you desire! Do you ever get to ready to change, but instead of making that change you start listening to the fearful voices inside (or out) that talk you out of it? While we may have the desire, the courage to change may not come easily. Thoughts and fears can take you out of balance and out of alignment with your goals, as you simultaneously feel fear and desire. It can take courage to take a risk and make that change. Journey to the part of you that is Courageous: This empowering inner journey takes you within to the part of you that is strong and courageous, that believes in you and is ready to support you in living the life that you desire. You find courage to release things of the past that have held you down, and to walk forward in power, in freedom, and ready to create the life that you long for. Our inner child can play havoc with our life and take us from being a logical adult to a three-year-old faster than a Chinese opera face-changer sports a new face. Or, the inner child can be one of our greatest allies, a spiritual connection that supports us on our journey to achieve our goals. The secret is to heal and love our inner child. Today’s class includes an inner journey where you find your inner child and discover what this precious little one needs in order to support the dreams of your heart. The importance of the Inner Child. The inner child is not to be dismissed; in fact is a vital part of us for healing, connection and balance. A healed inner child is one of our greatest assets towards leading a healthy adult life. If we don’t rescue and heal our inner child and bring that child forward, our inner child stays in past patterns and can interfere with our adult life by “popping up” when least expected, to take over the driver’s seat, in fear for example. Linda describes how this works, with examples and stories from her own adult life and the lives of her clients. Building and deepening a relationship with the inner child is one of the most important things we can do to further our spiritual awakening. Designed to connect with your inner child - or if you already have that connection - to deepen it. In this journey, you will experience an opportunity to communicate with the inner child and to possibly discover a message, or for the inner child to show you something that you need to know or see. Today we delve further into the study of how fear controls our lives and how we can free ourselves from this fear. We explore the fears that we have and how they control us, and then take an inner journey where you connect with your Higher Self to gain the strength to rise above your fears and move smoothly toward your goals. Holding onto anger or resentment (either for others or for ourselves) blocks the flow of abundance in our lives. Forgiving does not mean making abusive behavior okay, but it does mean cutting the cords and freeing us from the energetic control it exerts over us. We take an inner journey designed to help us discover and release the cellular energy of anger and resentment, making us free to achieve the life we desire. We are energy magnets. Our thoughts, feelings and words create an energy force that attracts, repels or holds stagnant our wants and desires. During this class we explore the things that increase and decrease our magnetic energy and learn how we can change that, and become powerful energy magnets! When we are in alignment with our heart’s desire, grace comes into our life. Today the guided journey is about clearing all that does not serve you, so that your magnetic energy can flow strong and pure. Now that you have been doing the exercises, discovering your strengths and releasing the energy that has kept you limited, it is time to create your clear vision and bring focus to it. This class includes a guided journey designed to help you identify your clear vision and prepare to manifest it. Now it’s time to focus on your vision and to put all that you have learned into use. You have all the parts, now start your engine and take a ride down the road to your heart’s desires! This class is a re-cap of all that we have done, plus putting it all together so that you can have success in all that you desire. Our final journey is one where you meet your future-self who is already living the life you desire and who can give you advice and encouragement so that you can feel it, be it, and live it. Linda Baker is an R.N. with a psychiatric background who is engaged in a passionate lifelong healing adventure to expand her own personal life as well as to assist others achieve deep healing and personal growth. 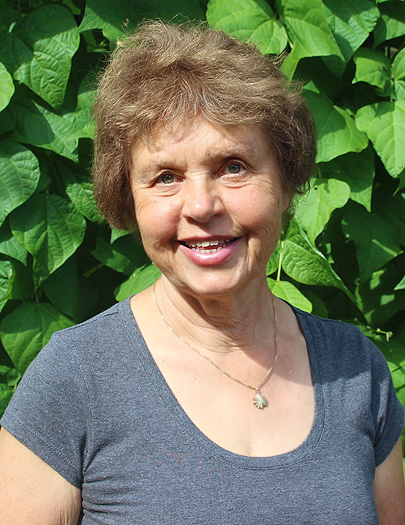 Linda serves clients in her private practice in the Seattle WA region, both in person and worldwide via Zoom. In addition to her many years of client services, Linda has devoted herself to training and certifying brand new hypnotherapists including co-directing at three schools of hypnotherapy in the US and as a frequent instructor in Japan. If after completing the 3-class self-guided package you decide to continue on, upgrade to the full 8week program for only $150.00 and receive all the benefits of the 8 week program.